The Trans Pacific Cup between PNG and Australia is scheduled for the 27th of August 2018, and the PNGMMNA is opening up trials to athletes from PNG and overseas who believe they have the ability to represent this great country at the highest level possible for the sport. Parker added, “We are under no illusions that PNG infancy in the sport compared to the Australians will be a challenge, but with the determination of the coaching team, driving the players development we are quietly confident that the players selected for the two teams will not go down without a fight, we believe with what we have already seen, the Maleo’s will surprise everyone in just how good they are and provide PNG a Test Series that is skilled, fast, competitive and exciting to watch to all those who come down to support the Maleo’s. The Trials are scheduled to start Saturday 28th of April at Sir John Guise Indoor Stadium and conclude Sunday 29th of April at Rita Flynn Indoor Courts. Those wishing to trial must make themselves available over the 2 days. Player Registration will only be done between 8am and 8.45am on Saturday 28th. Pre- Registration is advised and the registration form can be obtained by emailing pngmmna@gmail.com . 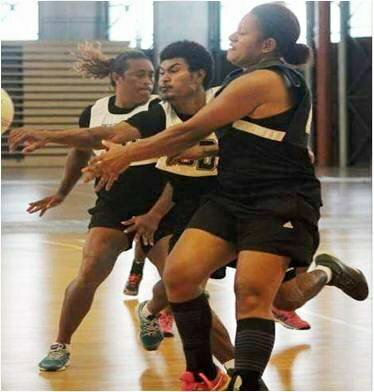 Like the PNG Mixed and Men’s Netball Association Facebook page to be kept up to date on all the latest on the Trans Pacific Cup.